Soil flushing and washing fluids must have: good extraction coefficients; low volatility and toxicity; capability for safe and easy handling, and, most important, be recoverable and recyclable. This technology is very promising in extracting heavy metals from soil, although problems are likely in dry or organically-rich soils. 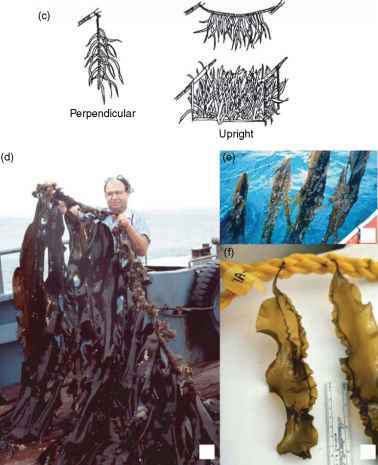 Surfactants can be used to extract hydrophobic organisms. Soil type and uniformity are important. Certain surfactants, when tested for in-situ extraction, clogged soil pores and precluded further flushing. Status. The U.S. EPA in Edison, New Jersey, has a mobile soil washer; other systems are under development. FIG. 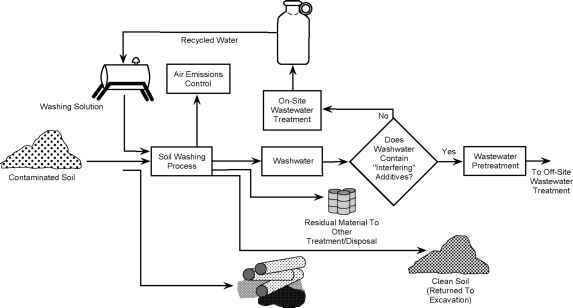 11.15.6 Simplified soil washing process flow. (Reprinted from U.S. Environmental Protection Agency (EPA), 1992, A citizen's guide to glycolate dehalogenation [EPA 524-F-92-005], Office of Solid Waste and Emergency Response [March]).